Did you know that the ancient Chamorros believed the universe was created by a pair of brother-sister spirits named Puntan and Fu'una and that certain areas of the island are named after human body parts? Did you know that pirates frequently passed through Guam and the Marianas during the Manila Galleon Trade, which is why there are forts along Guam's western shores? Did you know that Guam was a stop on the first trans-Pacific air travel route by Pan American Airlines, and that American author Ernest Hemingway was on one of those flights? The Guampedia Foundation cordially invites you to learn some of the interesting and amazing facts about the island of Guam and the rich history and culture of its people. With historic images and original artwork, 101 Amazing Facts About Guam introduces readers to the indigenous Chamorro people of the Marianas, highlighting unique aspects of their ancient culture and society, and points out some of the important milestones in Guam history in a small, concise volume that will delight readers of all ages and backgrounds. 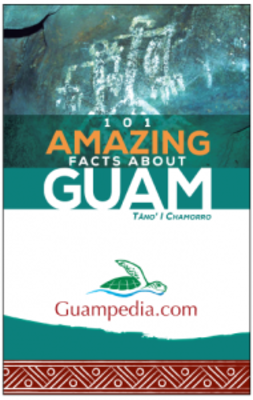 Written for a broad audience, this book represents some of the research and information that can be found on guampedia.com, an educational website managed by the Guampedia Foundation that focuses on bringing greater awareness of Guam to the rest of the world.